Ellen (Tibbie) Holcomb peacefully left this earth on September 5, 2018, at the age of 98. She was the middle child of 5 children (Eloise, Leon (Bud), Ellen, Clara, and Alvin (Bubba)), born to Leon (Jack) and Hettie Williams Neill in Waco, TX. A good student, after high school Ellen went on to 4C Business College in Waco. She worked as a secretary, first at an insurance company in Waco, and later settled in Dallas to work at Magnolia Oil Company. She married Rev. Jack Holcomb in the late 1940s. The couple settled in Southern California to be near the studios where Jack recorded his gospel music records and his radio show. Their first child, Jo Ellen, died at 18 months in a tragic accident while Ellen was pregnant with their second child. Jack was born in 1953 and they later adopted an orphan baby, Joi, from South Korea in 1959. 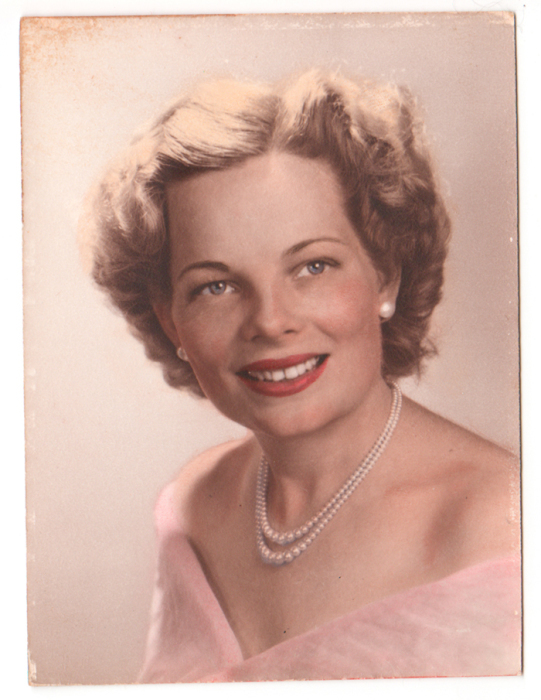 When her husband's health declined, the family moved back to Waco, where she began working at Texas Retail Grocer's Association before her husband Jack passed away in 1968. Ellen followed TRGA as they relocated to Austin, TX in 1976 and worked there until the early 1990s. Always a hard worker, she continued to work part-time as a bookkeeper at Century Animal Hospital, and later as a product demo salesperson at HEB and Walmart area stores. Her son, Jack, passed away in 2005 from complications of Diabetes. She is survived by her daughter, Joi Holcomb, and her brother, Alvin (Bubba) Neill, as well as numerous nieces and nephews. In lieu of flowers, please consider a donation in Ellen Holcomb's name to either the Alzheimer's Association (act.alz.org) or the Alzheimer’s Foundation of America (azfdn.org).